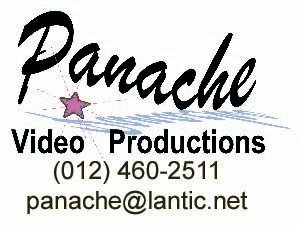 One-stop, professional and affordable video/DVD production -- from scripting to bulk copies. We love the creative process of making something from nothing -- and clients generally also enjoy the process! When it comes to advertising and/or training, there is nothing that beats the efficacy of a well-crafted video -- and, of course, nothing captures an event quite as well. We are convinced that you won't find a better combination of price and quality than with us -- the people to provide professional programmes with punch and panache! We create whatever genre of programme you require -- documentaries/infomercials for broadcast, commercials, corporates, training and induction programmes as well as function and Wedding Videos.